Lecithin is needed as a bioemulsifier product in stabilizing agents for the food, pharmaceutical and cosmetic industries due to its renewability and as it is environmentally friendly. In the food industry, most of the emulsifiers used are the oil-in-water (O/W) type. Lecithin can be seen as a promising emulsifier product because it is extracted from egg yolk and modified by enzymatic hydrolysis reaction using the papain enzyme. This modification will change the molecular structure of the compound, which makes lecithin more stable in the oil-in-water type of emulsion. This study aims to determine the optimum amount of papain enzyme used in the hydrolysis reaction to achieve the most stable O/W lecithin emulsion type. 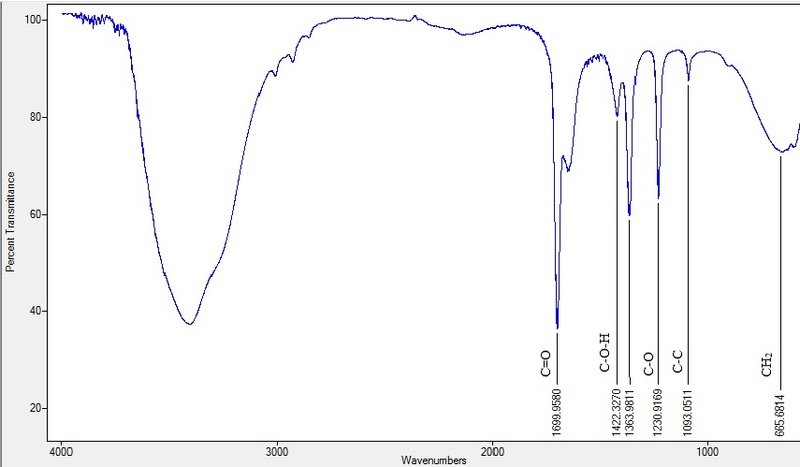 The results show that the breaking of a single fatty acid chain from the structure of lecithin can be demonstrated by FTIR instrumentation. The fatty acids detected from the lecithin structure are shown at wavenumber 1699.45 cm-1 (C=O), 1231.44 cm-1 (C-O), 1422.45 cm-1 (C-O-H), 1092.85 cm-1 (C-C), 665.89 cm-1 (CH2), and 3400.57 (-OH in carboxylate). 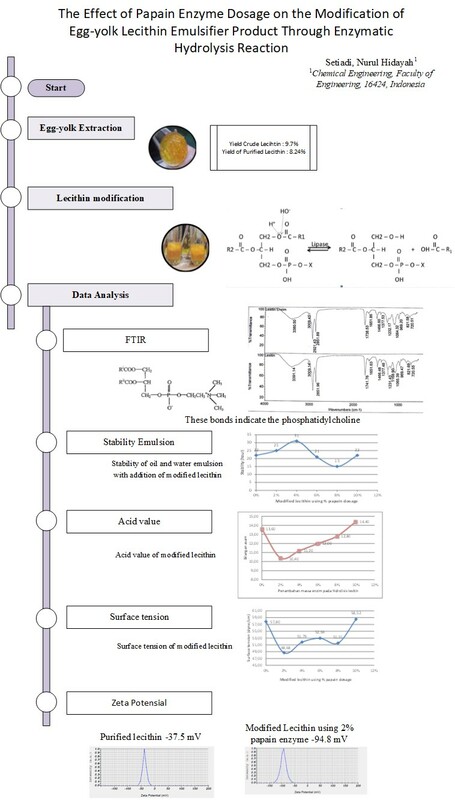 Determination of the modified lecithin yield was made by several tests, namely a stability test, and tests for acid value, surface tension and zeta potential. From the results of tests, the emulsion stability for the O/W type was achieved in modified-lecithin using a 4% papain enzyme dosage, with a stability duration of up to 31 hours. The lowest acid number was achieved in modified-lecithin using a 2% papain enzyme dosage with value of 10.40. 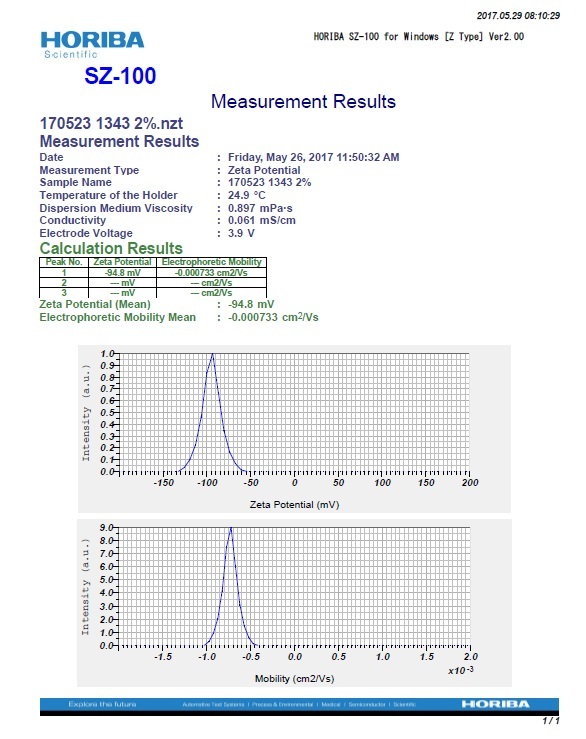 The lowest surface tension was obtained in modified-lecithin using a 2% papain enzyme dosage with a surface tension value of 48.68 dyne/cm. 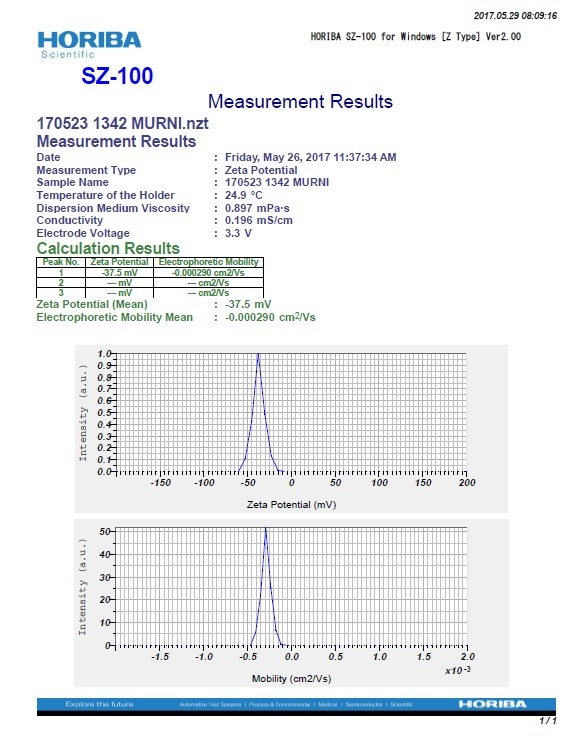 The zeta potential of the modified-lecithin using a 2% papain enzyme had a value of -94.8 mV. These results show that the enzymatic hydrolysis of lecithin using a papain enzyme is clearly able to enhance the emulsifier properties of the lecithin produced. The papain enzyme from crude papaya latex is an effective enzyme for lecithin modification in order to improve its availability and affordability. In addition, the reaction of enzymatic hydrolysis on egg yolk lecithin can be confirmed based on the FTIR spectrum. The purified egg yolk lecithin resulted in a yield of 8.24%. The optimum amount of papain enzyme dosage to establish the best characteristic of modified lecithin was 2%, based on the weight of egg yolk lecithin. The hydrolysis reaction of egg yolk lecithin using the papain enzyme increased the stability of lecithin in an O/W emulsion to up to 31 hours, with a zeta potential value of -94.8 mV. It also decreased the surface tension of lecithin to 48.68 dyne/cm as more polar lecithin was produced after the hydrolysis reaction. The acid value of modified lecithin decreased to 10.40 due to the decreasing fatty acid content. In further research, it is advised to use a larger amount of water during the lecithin modification process. The authors would like to acknowledge the grant “Publikasi Internasional Terindeks untuk Tugas Akhir Mahasiswa” (PITTA) Universitas Indonesia with Grant number 832/UN2.R3.1/HKP.05.00/ 2017 in the year 2017, for its financial support during the research. Al-Abayaji, M. A., 2015. Extraction and Determination of Iraqi Boiled Egg Yolk Constituents, and Characterization of Lecithin. Department of Chemistry, Ibn Al Haitham College of Education. Banat, I.M., Makkar, R.S., Cameotra, S.S., 2000. Potential Commercial Applications of Microbial Surfactants. Applied Microbiology and Biotechnology, Volume 53(5), pp. 495–508. Biotechnology Industry Organization, 2011. Biotechnology Solutions for Renewable Specialty Chemicals & Food Ingredients. Washington, DC: Biotechnology Industry Organization. Reckziegel, Y., 2014. Characterization and Comparison of the Functionality of Fractionated Lecithin from Different Sources. Master Thesis of Science in Food Technology. Faculty of Bioscience Engineering, Universiteit Gent.